Home Tags Posts tagged with "austerity"
Tens of thousands of protesters have marched through Warsaw in the last of four days of Polish protests against proposed labor law changes. sing the retirement age to 67. Many carried banners calling for Prime Minister Donald Tusk to resign. The ruling centre-right coalition’s popularity has plummeted to its lowest level since Donald Tusk took power in 2007. The rally was one of the largest in Poland in recent years, bringing together people from both the right and the left of the political spectrum. Organizers of the march said about 120,000 people participated, while city authorities put the figure at 100,000. Protesters waved flags and blew whistles as they marched through the streets of the capital. Some held banners saying “We are Coming to Get You” and “Tusk’s government Must Go”. “We’re becoming slaves in our own country,” said Marek Duda, the leader of the right-of-centre Solidarity Union. The rally was not about austerity, Poland being the only country in the European Union to have avoided a recession since the crisis began. However, the economy is just coming out of its worst slump in years, and the protesters say it still lags behind its neighbors to the west. Pope Francis has received a 20-year-old white Renault 4 to drive himself around Vatican City. 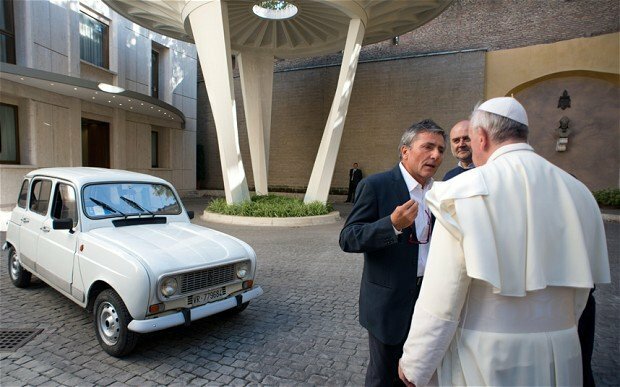 The car – which has 300,000 km (190,000 miles) on the clock – was presented to Pope Francis by Father Renzo Zocca at the weekend. The pontiff later drove it. Known for his humble lifestyle, Pope Francis said he used to drive the same car in his native Argentina. In a bid to encourage austerity in the Church, the Pope has urged officials to avoid using expensive limousines. Father Renzo Zocca said he was moved by the Pope’s effort to create “a Church for the poor”, and told the Italian magazine Famiglia Cristiana that he wanted to give him a gift. Father Renzo Zocca said he was surprised to receive a phone call from the pontiff accepting the gift. The Italian priest turned up at his Vatican residence on Saturday to present the car. Pope Francis’ bodyguards were amazed when he took the keys and drove off. The European Commission has announced it will allow some EU member states to slow their pace of austerity cuts, amid concerns over growth. France, Spain, Poland, Portugal, the Netherlands and Slovenia are all being given more time to complete their austerity plans. France will get two more years to bring its budget deficit below 3% of GDP. European Commission President Jose Manuel Barroso said the extra time must be “used wisely” to lift competitiveness. The measures came as part of the European Commission’s country-specific recommendations. Spain, Poland and Slovenia will also get two more years to bring down their budget deficits though spending cuts and tax increases. The Netherlands and Portugal are having their timetables extended by one year. Even Europe’s stronger economies, including Germany, are being urged to allow wage increases and increase flexibility in the jobs market to improve competitiveness. Europe remains broadly in recession. The 17-member eurozone shrank by 0.2% in the first three months of the year, and is expected to register negative growth for 2013 as a whole. There has been concern that the focus on fiscal consolidation in many EU states has worsened the economic situation. Earlier, the OECD called on the European Central Bank (ECB) to do more to boost growth. This month, the central bank in Frankfurt cut interest rates to a record low of 0.5% and said it was “ready to act if needed”. In an official statement, the Commission said the extra time should be used to enact reforms. “Giving more time for certain member states to meet their agreed objectives is designed to enable them to accelerate efforts to put their public finances into order and carry out overdue reforms,” it said. 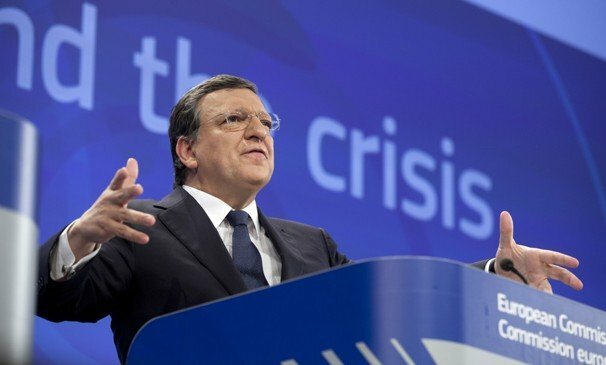 Jose Manuel Barroso stressed that the decision to allow some member states to slow the pace of austerity was made on purely economic and financial grounds, rather than for political reasons. Speaking about the new timetable for France, he said the message remained “very demanding”. “The extra time should be used wisely to address France’s failing competitiveness … I believe there is a growing consensus now in France about the need for those reforms,” he said. Figures released earlier this month showed that France had entered its second recession in four years after the economy shrank by 0.2% in the first three months of 2013. 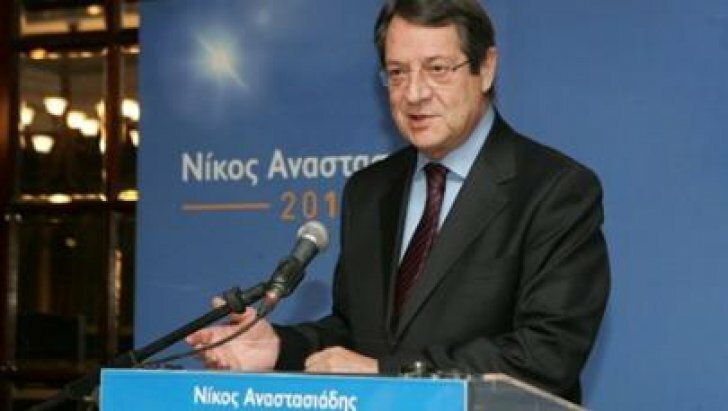 Nicos Anastasiades has won the Cypriot presidential election with 57.5% of the vote. It was a comfortable victory of the centre-right leader over Communist-backed Stavros Malas on 42.5%. Stavros Malas has conceded victory. Nicos Anastasiades takes power as Cyprus stands on the brink of bankruptcy, hit by the knock-on effect of Greece’s economic woes. He favors a quick deal with foreign lenders to finalize a bailout of the Cypriot economy. “It is a clear and strong mandate for change, for reform, for our country to exit this vicious circle of crisis,” Tasos Mitsopoulos, Nicos Anastasiades’s spokesman, told reporters according to Reuters news agency. Jubilant supporters of Nicos Anastasiades’s Democratic Rally party waved Greek and Cypriot flags, honked car horns and set off firecrackers in the capital Nicosia as the results came in, said reports. But Stavros Malas warned his party would be “severe critics of anything that diverts from the interest of the people or the country”, said AFP news agency. The Cypriot economy is in recession and the state has little money in its accounts. Cyprus first asked the EU for a bailout last July to shore up its banks. Because of the bailout deal for Greece, and the restructuring of its debts, which saw private bondholders suffer big losses, Cypriot banks lost about 75% of their investments. However, the Cypriot bailout deal has foundered in protracted negotiations. The new president will have to finalize a deal with the other 16 countries that use the euro and with the International Monetary Fund (IMF). Stavros Malas supported a bailout but opposed austerity. Last week’s first round in the presidential election failed to produce a decisive result. Nicos Anastasiades will aim to exploit massive natural gas finds off Cyprus’s coast, bringing in badly needed income and energy, but risking escalating tensions with Turkey. He will also be under pressure to reach out to Turkish Cypriots in the north of the island, cut off since Cyprus was formally divided along ethnic lines almost four decades ago. Bulgarian government is resigning after nationwide protests against high electricity prices and austerity, Prime Minister Boiko Borisov has announced. “I will not participate in a government under which police are beating people,” Boiko Borisov told parliament. 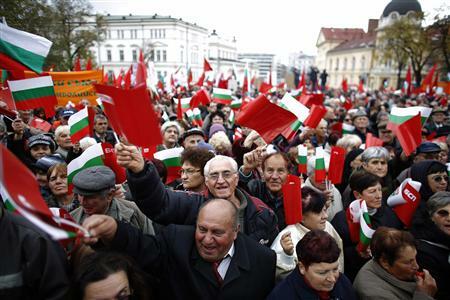 Tens of thousands have protested across Bulgaria, the EU’s poorest country, against high electricity bills. PM Boiko Borisov tried to calm the protests on Tuesday by promising to slash prices. Twenty-five people were taken to hospital after protesters clashed with police late on Tuesday. Correspondents say that many Bulgarians are deeply unhappy over high energy costs, power monopolies, low living standards and corruption. It was not immediately clear whether or not a parliamentary election scheduled for July would now be brought forward. European Union leaders are due to begin a two-day summit in Brussels to try to strike a deal on its next seven years budget. They failed to reach a compromise at a similar summit last November. The summit will almost certainly demand cuts in EU administration. However, whatever is agreed still has to go to the European Parliament and MEPs are big backers of EU spending. The EU Commission – the EU’s executive body – had originally wanted a budget ceiling of 1.025 trillion euros ($1.4 trillion) for 2014-2020, a 5% increase. In November that was trimmed back to 973 billion euros and later revised down to 943 billion euros. However, with other EU spending commitments included, that would still give an overall budget of 1.011 trillion euros. Another grouping, led by France and Italy, wants to maintain spending but target it more at investment likely to create jobs. French President Francois Hollande told reporters on Sunday that conditions were “not yet in place” for a deal but also signaled that Paris was prepared to make compromises. Francois Hollande and German Chancellor Angela Merkel held talks in Paris on Wednesday before attending a France-Germany football match. Angela Merkel’s spokesman said she and Francosi Hollande had had “a short but intense meeting… to see what kind of agreement could be made”. angela Merkel – seen as the powerbroker in the summit – has already acknowledged that the talks will be “very difficult”. In Brussels, a European Parliament spokesman warned that more severe cuts would leave the commission unable to do its job as the EU integrates more deeply in response to the financial crisis. “How can we imagine that an EU institution can ensure a proper banking union with a budget that is cut by whatever billions in figures we hear, here and there?” said spokesman Olivier Bailly. The Greek parliament has approved a series of unpopular tax rises aimed at boosting revenue in line with Athens’ commitments to international creditors. The measures, approved overnight, introduce a new top tax rate of 42% for Greeks earning more than 42,000 euros ($56,000) a year. Corporate rates also go up and the tax base now includes low-earning farmers. Greece has been kept solvent by huge rescue loans from its EU partners and the IMF since May 2010. The Conservative-led government insists the new measures, designed to raise up to 2.3 billion euros this year, are fair. “We are not in favor of taxes,” Deputy Finance Minister Giorgos Mavraganis said. The changes are part of an overall package approved in November to allow Greece to qualify for further bailout funds. 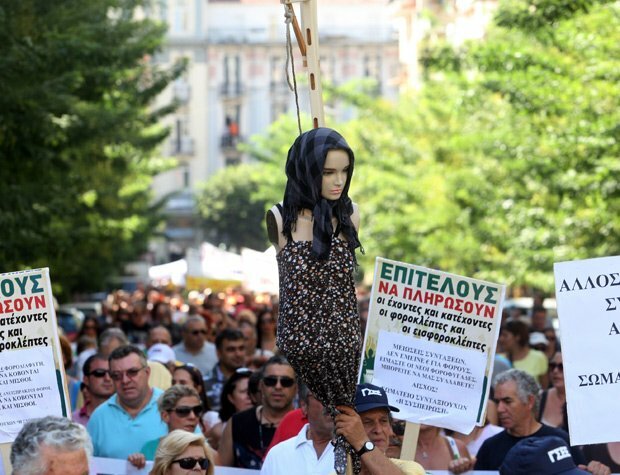 But the opposition says the tax rises will increase hardship for ordinary Greeks. The main opposition Radical Left Coalition says austerity has “demolished the country’s middle classes”. 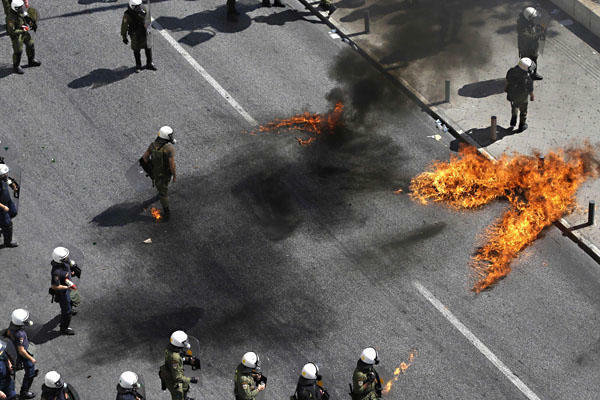 Deep spending cuts and job losses have triggered street unrest across Greece in recent years. Standard and Poor’s has raised the credit rating of Greece’s sovereign debt by six levels, praising the “strong determination” of fellow European countries to help it stay in the eurozone. S&P has increased Greece’s rating from “selective default” to “B-minus”. The rating agency also praised the continuing efforts by Greece’s government to cut its spending. Greece is currently receiving the second of two bailouts. Last week, Greece started to receive the latest tranche of the bailout funds from the European Union and International Monetary Fund. They agreed to release 49.1 billion euros ($57 billion) after continuing austerity work by Greece, and a buyback of some of its debt. A total of 240 billion euros has been earmarked for Greece from the two bailout loans. So far, Greece has received nearly 149 billion euros ($191 billion) from the eurozone and the International Monetary Fund, out of that 240billion euros. S&P said in its statement: “The upgrade reflects our view of the strong determination of European Economic and Monetary Union (eurozone) member states to preserve Greek membership in the eurozone. Greece had to seek the bailouts to meet its debt repayments after years of overspending meant it could not keep up with its debt obligations. The negative market opinion of Greece’s situation only worsened its position, as it pushed up the yield, or level of interest, that the country had to offer on the sale of its new government bonds, in order to attract buyers. Borut Pahor, former Slovenian prime minister, has won an emphatic victory in the country’s presidential run-off election. With almost all votes counted, Borut Pahor polled 67% to incumbent President Danilo Turk’s 33% in a poll following days of protests over the economy and alleged government corruption. On Friday a number of people were injured as protesters clashed with police in the capital Ljubljana. Slovenia is facing one of the eurozone’s deepest recessions. The country’s economy has shrunk more than 8% since 2009. Thirty-three people were charged with public order offences after the trouble in Ljubljana, police said. A protest that attracted thousands of people earlier in the week in the second city, Maribor, also turned violent. Polls across Slovenia opened at 07:00 local time and closed at 19:00. Commenting on the recent protests in the country, Borut Pahor told the Associated Press that the demonstrations “signal a lack of confidence” in government institutions. 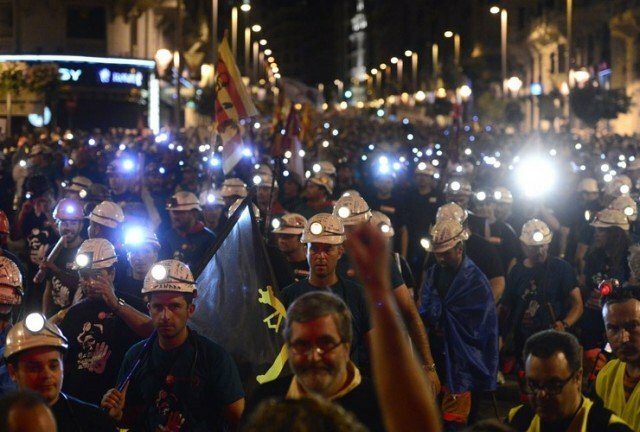 Many protesters are angry at what they describe as harsh austerity measures being implemented by the current centre-right government. They also accuse the government of corruption – a claim denied by the authorities. 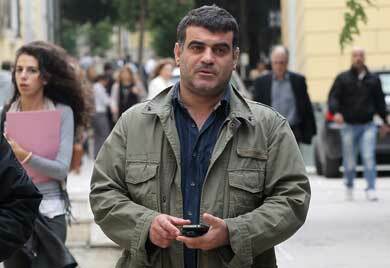 Greek journalist Costas Vaxevanis is due to go on trial in Athens for breach of privacy after publishing the names of 2,000 Greeks with Swiss bank accounts. French authorities gave the names to their Greek counterparts two years ago, but documents were never investigated. Costas Vaxevanis said that politicians should be prosecuted for keeping the names secret. But Greek officials have said there is no proof that those on the list have broken the law. Some of those named, said to include many prominent Greeks, are suspected of using the HSBC accounts in Switzerland for tax evasion. Costas Vaxevanis says the list he published is the same one that was given by the then French finance minister Christine Lagarde to her Greek counterpart two years ago. Greek officials say the list originally came from a former HSBC employee. The names on the list are said to include politicians, businessmen and others, sparking fury among ordinary Greeks as they are hit by deep austerity measures. The issue has revived claims that tax evasion remains rife in Greece, and that the authorities still are not serious about tackling it. Costas Vaxevanis, 46, said he published the list in his magazine Hot Doc “because I’m a journalist and it’s our job to tell the truth to the people”. “The three last governments have lied and have made a mockery of the Greek people with this list,” he said. Costas Vaxevanis said he thought the government had not acted on the list because it included friends of ministers, businessmen and powerful publishers. He also accused much of the Greek media of ignoring the story. “The Greek press is muzzled,” he said. “If I need to go to prison I will do,” he said. 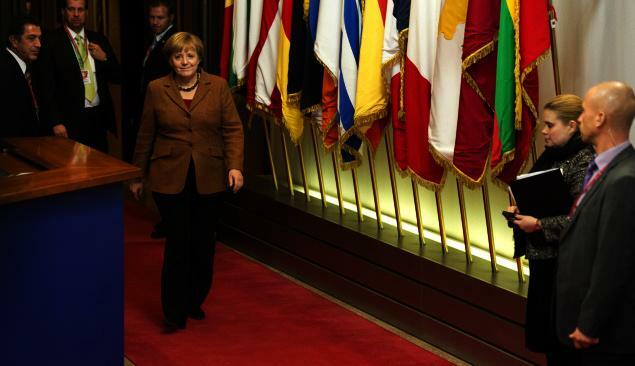 Athens is tightening its security ahead of a visit by German Chancellor Angela Merkel, her first since the eurozone crisis erupted nearly three years ago. Some 7,000 police officers are on duty, public gatherings are banned in certain areas of the city and protesters have been warned to “protect the peace”. 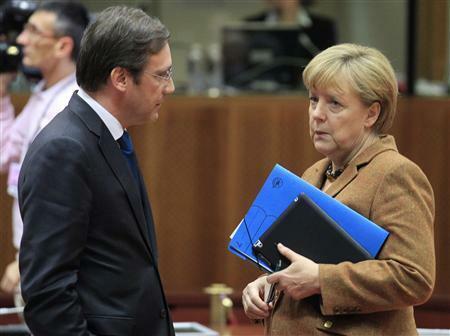 The visit comes as Greece bids to pass new cuts of 13 billion euros ($17 billion) to qualify for more bailout cash. Analysts say Angela Merkel is regarded by many Greeks as the author of austerity. While Germany has contributed the most money in the bailing out of Greece, its chancellor is held responsible for demanding that Greece make swingeing cuts in exchange for the financing it has received. There has been growing unrest in Greece at the planned new cutbacks. Police have banned protests on Tuesday in much of central Athens, and within a 100-metre (110-yard) radius of the route Angela Merkel’s motorcade will travel – although two planned protests elsewhere in the city will go ahead. On Monday, public order minister Nikos Dendias appealed to protesters to “protect the peace, and above all our country’s prospects and our international image”, Reuters news agency reported. 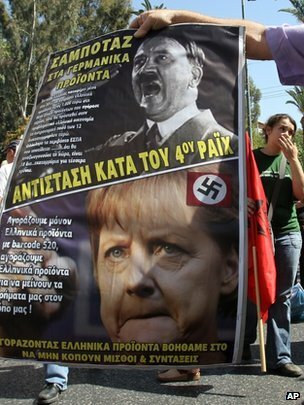 Angela Merkel, a target for popular dissent, will be in Athens for about six hours, and will have talks with Greek Prime Minister Antonis Samaras. The meeting is a gamble. If there is chaos on the streets, it will only underline for the German public that Greece is a lost cause. But Angela Merkel’s visit – her first to Greece in five years – is sending a symbolic message that she wants Greece to stay in the eurozone. Greece’s finance minister Yannis Stournaras says the three parties in the country’s governing coalition have reached a “basic agreement” on the austerity package for 2013-14. The measures are likely to be presented to Greece’s international lenders on Monday before going before parliament. The cuts are necessary if Greece is to continue receiving bailout funds. Earlier, Greece announced plans to sell most of its 34% stake in the gaming monopoly Opap. Yannis Stournaras said there were “very few details left to work out” on the austerity package. The deal comes the day after 50,000 anti-austerity protesters took to the streets of Athens. The spending cuts are reported to be worth at least 11.5 billion euros ($14.8 billion) and are a condition for Greece to receive the next 31 billion-euro installment of its international loans. 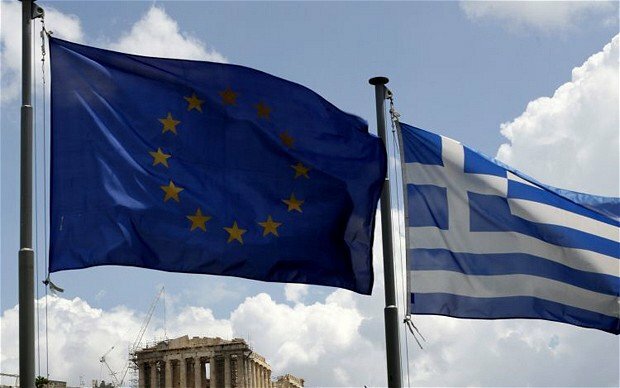 The Greek government hopes to be able to present a final package of measures to the summit of eurozone finance ministers on 8 October. Police have fired tear gas in Greece to disperse anarchists throwing petrol bombs near parliament in Athens. 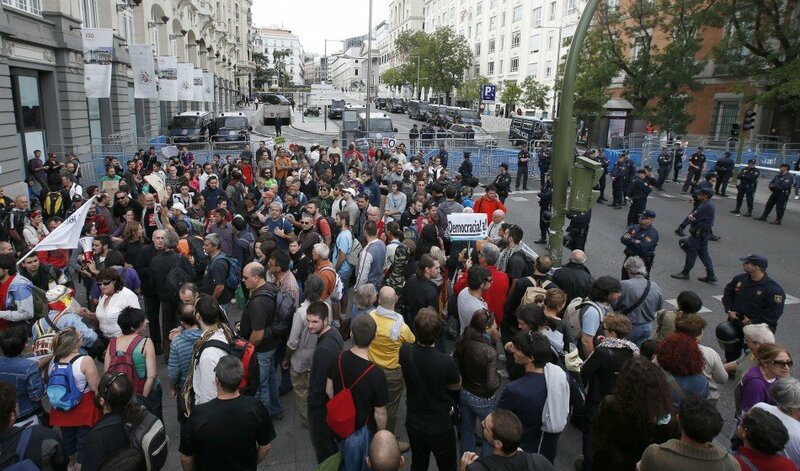 Dozens were arrested during the one-day strike against planned spending cuts of 11.5 billion euros ($15 billion). It was the first union-led action since a conservative-led coalition came to power in June. The savings are a pre-condition to Greece receiving its next tranche of bailout funds, without which the country could face bankruptcy in weeks. Greece needs the next 31 billion-euro installment of its international bailout, but with record unemployment and a third of Greeks pushed below the poverty line, there is strong resistance to further cuts. The government of conservative Prime Minister Antonis Samaras is proposing to save money by slashing pensions and raising the retirement age to 67. But it has also urged the troika representing Greece’s lenders – the European Commission, the European Central Bank (ECB), and the International Monetary Fund (IMF) – to give it an extra two years to push through the austerity programme. 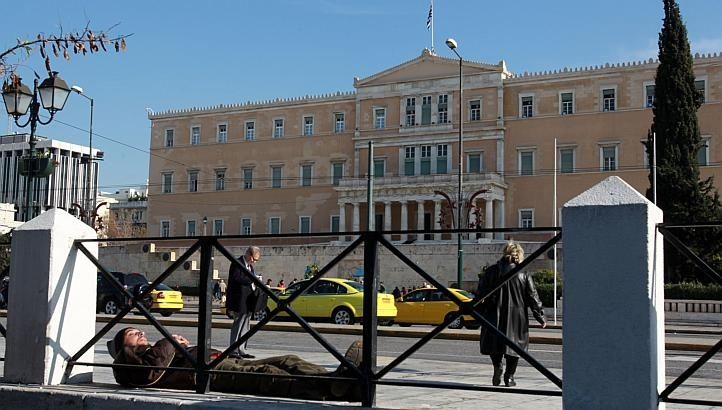 On Tuesday Greek Finance Minister Yannis Stournaras put a price on that delay for the first time – saying it would in effect cost as much as 15 billion euros. The Greek protest follows a series of demonstrations in Spain and Portugal, which are also facing stringent austerity measures. An estimated 50,000 people joined Wednesday’s protests, including doctors, teachers, tax workers, ferry operators and air traffic controllers. Banks and historic sites in Athens remained shut, with many shopkeepers expected to close up early so they could attend demonstrations. Schools and government services also closed down, though buses were still running, reportedly to help ferry people to the protests. “We can’t take it anymore – we are bleeding. We can’t raise our children like this,” Dina Kokou, a teacher, told Reuters news agency. “We won’t submit to the troika!” and “EU, IMF out!”, “People, fight, they’re drinking your blood,” protesters chanted. A march past parliament turned violent as anarchists wearing black balaclavas and carrying sticks threw petrol bombs and broken bits of concrete at riot police on Syntagma Square. Images showed a policeman on fire as the bombs exploded. The strike was called by the country’s two biggest unions, which between them represent half the workforce. A survey conducted by the MRB polling agency last week found that more than 90% of Greeks believed the planned cuts were unfair and a burden on the poor. Greece was given a 110 billion-euro bailout package in May 2010 and a further 130 billion euros in October 2011, backed by the IMF and the other 16 euro nations. That money is paid in installments, but correspondents say the lenders are reluctant to stump up the latest slice, as they feel Greece has not made enough effort to meet its deficit-reduction targets. Greece needs the new money to make repayments on its debt burden. A default could result in the country leaving the euro. Greek trade unions have begun the first general strike since the country’s conservative-led coalition government came to power in June. 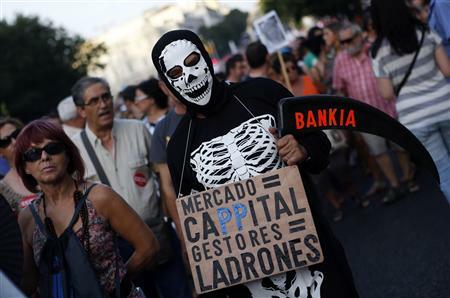 Wednesday’s 24-hour walkout is to protest at new planned spending cuts of more than 11.5 billion euros ($15 billion). Large anti-austerity demonstrations are also planned. The government of conservative Prime Minister Antonis Samaras is also proposing to slash pensions and raise the retirement age to 67. Workers from a diverse range of sectors are taking part in the strike, from doctors to air traffic controllers. It was called by the country’s two biggest unions, which between them represent half the workforce. With demonstrations planned, many people fear a repeat of the violence that has hit the streets in previous protests. Thousands of police have been deployed in the centre of Athens to prevent a flare-up. Greece is currently trying to qualify for the next installment of its 130 billion-euro bailout, which is backed by the IMF and the other 16 euro nations. The country was given a 110 billion-euro package in May 2010 and a further 130 billion euros in October 2011. That money is paid in installments, but correspondents say the donors are reluctant to stump up the latest slice, as they feel Greece has not made enough effort to meet its deficit-reduction targets. Greece needs the next tranche of its bailout to make repayments on its debt burden. A default could result in the country leaving the euro. 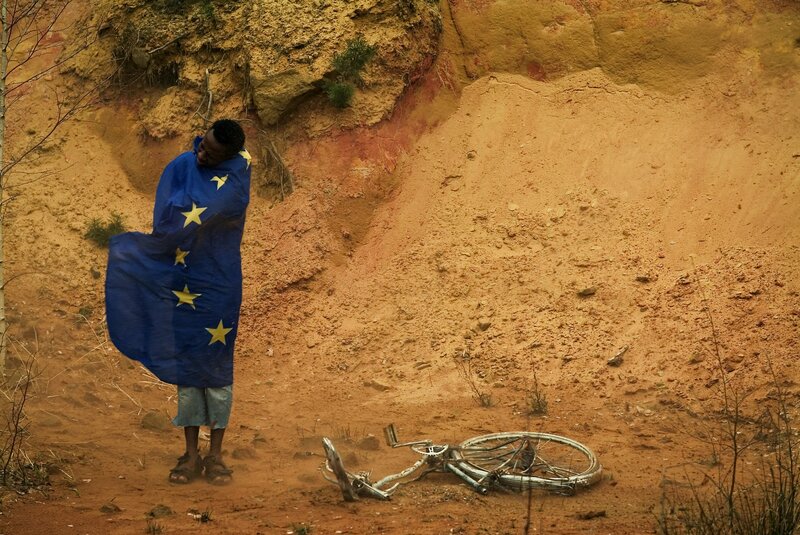 A new report by the aid watchdog Data shows that European debt crisis has led to cuts in government development aid to poor countries. It is the first significant reduction in Europe-wide aid budgets for a decade. The biggest percentage cuts in the year 2010/11 were made by two of the states worst affected by the debt crisis – Spain and Greece. But overall European development aid was also down by 1.5%. The report says the new figures “reveal that those bearing the brunt of Europe’s economic crisis include some of the world’s poorest people”. “As austerity bites across Europe, we can now see the impact it is having on life-saving aid programmes,” it adds. 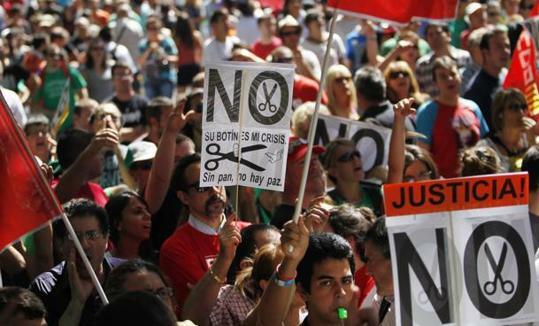 In the year 2010-11, Spain cut its aid budget – the sixth largest in Europe – by nearly a third. Greece cut its much smaller programme by 40%, the Data study says. The report is published as part of a lobbying campaign by aid agencies as EU leaders begin negotiating the next seven year European budget. Over the last decade the trend has been for aid cash to rise. European countries account for just over half of all global official development assistance. Many of them have been slowly nudging towards a United Nations anti-poverty target of 0.7% of national income spent on aid. The Netherlands and some Scandinavian countries have exceeded this proportion. One of the authors of the Data report, Adrian Lovett, said the countries that would be worst affected by any prolonged aid cuts were poor African states. He said: “The countries we’re worried about are mostly in Africa – for example Mozambique, Tanzania and Malawi. There’s a broad official consensus among aid agencies – and the western governments that often finance them – that development aid works. But aid is not without its critics. Some say it is wastefully distributed and can discourage poorly performing developing country governments from accepting their responsibilities. The argument goes that if Medecins Sans Frontieres run the best hospitals in Haiti, for example, or Oxfam successfully digs the best water wells in Chad, why should the governments there bother? Such critics would also argue that countries such as China and India – and the many African states which currently have strong economic growth rates – are not getting richer because of aid. In many of these cases, the aid critics say, infrastructure investment, commodities exports or liberalization have been far more significant than aid. Adrian Lovett counters these arguments with the example of Ghana. “Ghana has in the past had a substantial amount of aid. That assistance has been well used through smart leadership at the national level and better coordination by the various donors. But Adrian Lovett drew a distinction between emergency aid – for famine victims, for example – and longer term development assistance. He said aid advocates such as himself wanted, ultimately, to do themselves out of a job. “There’s always going to be international action around humanitarian crises. That is a natural human impulse. “But we do want to see a day when we will help some countries and they will also help us in return in a relationship of equals. Evangelos Venizelos, leader of Greek Socialist Pasok party, has announced that the country is set to go to the polls again after days of coalition talks failed to produce agreement on a new government. A final round of talks on Tuesday morning broke up without a deal. 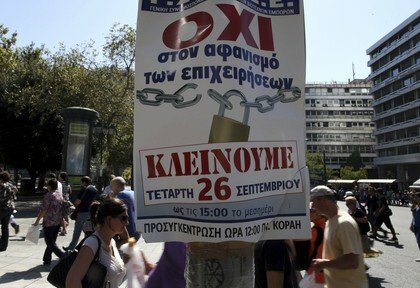 In elections on 6 May, a majority of Greek voters backed parties opposed to austerity plans demanded by the EU and IMF in return for two bailouts. Greek president Karolos Papoulias will appoint a caretaker government on Wednesday. Karolos Papoulias will meet all political leaders at 13:00 local time on Wednesday to put in place an interim government until the new vote, which is expected to take place on 10 or 17 June. “Unfortunately, the country is heading again toward elections,” Evangelos Venizelos told reporters after the talks on Tuesday. The euro fell sharply on the news, tumbling from $1.2842 to $1.2771 shortly after 13:15 GMT – its lowest value since 18 January. Greek shares also fell before recovering slightly. 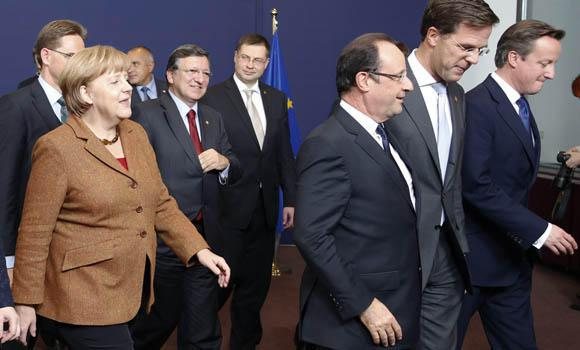 European leaders say that they will cut off funding for Greece if it rejects the bailout agreed in March. This would mean effective bankruptcy for Greece and its all but certain exit from the European single currency, analysts say. German Finance Minister Wolfgang Schaeuble again ruled out amending the bailout agreement. “The people in Greece must know that what we have agreed for Greece and have set in train is an entirely unusual effort,” he said after talks in Brussels on Tuesday. Polls suggest the leftist Syriza bloc, which came second in the 6 May vote and rejects all further cutbacks, could become the largest party after a new election. Syriza wants to renegotiate the bailout package but also wants to keep Greece in the euro. Greece must also decide whether to redeem an outstanding bond worth 436 million Euros ($558.67 million) which matures on Tuesday. A Greek official, speaking on condition of anonymity, told the Associated Press that Athens would pay off the debt on schedule, thereby avoiding a default. The chairman of the eurozone group of finance minister, Jean-Claude Juncker of Luxembourg, said on Monday he wanted Greece to remain in the single currency but warned that Athens must keep to its commitments. Pasok and New Democracy, which signed up to the bailouts and had previously dominated Greek politics for decades, saw their combined share of the vote drop from about 77% to about 33% on 6 May.